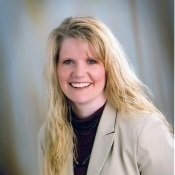 CarlaAnn Goedtke | Investors Choice Financial Services Inc.
CarlaAnn Eisele Goedtke, MRFC, CPFA®, CSA® has been a registered securities representative since 1996 and became a registered principal in 2010. She earned her Registered Financial Consultant (MRFC) designation in 1998, her Certified Senior Advisor (CSA) in 2003 and is a current member of the Financial Planning Association (FPA), Real Estate Investment Securities Association (REISA), Financial Services Institute (FSI), and National Association of Insurance and Financial Advisors (NAFTA). Since 1995 she has served as the CFO for Investors Choice Financial Services Inc.
Carla's specialty is utilizing her financial planning expertise in the retirement market. By assisting people through the transition period of five years prior too, and five years following, the actual retirement party Carla is able to streamline the steps to have a smooth transition. In the education and public employee segments, Carla assists employees in reaching their financial goals through their investments and pension plans. Carla also has a very good understanding of issues affecting the elderly such as Medicare supplements, long-term care insurance and conservative income portfolios. As a dynamic public speaker, Carla welcomes the opportunity to facilitate workshops and seminars of all types. In 1989 she earned Bachelor of Science degrees from Minnesota State University in Business Administration, Marketing and Speech-Communications; and a minor in Economics. Carla has a very diverse background including being contracted for her marketing ingenuity for several organizations and businesses. Carla's strongest quality, however, is her commitment to non-profit and volunteer organizations such as the Workforce Council, Kiwanis and Women of Today.